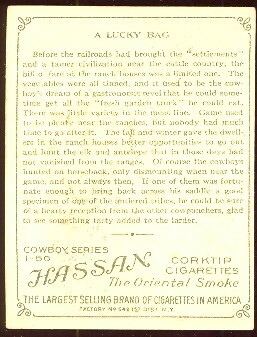 This 49 card set was issued in 1909-1912 with Hassan Cork Tip Cigarettes by The American Tobacco Co. 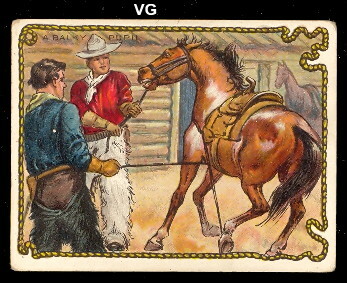 The cards measure 2-1/2"x 3-1/4" and depict various colorful cowboy scenes in the old west. 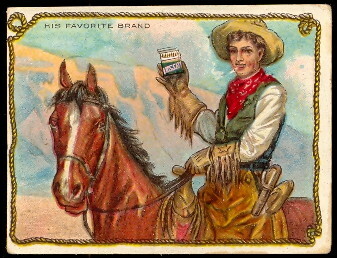 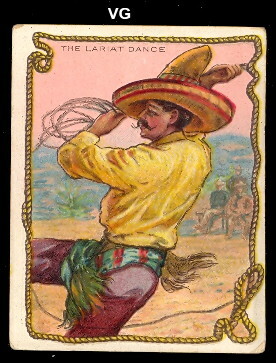 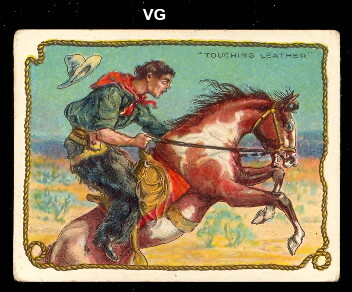 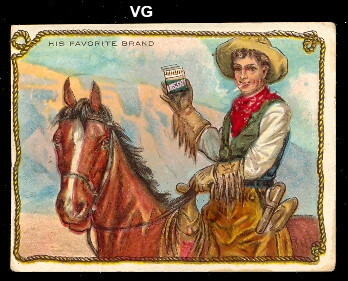 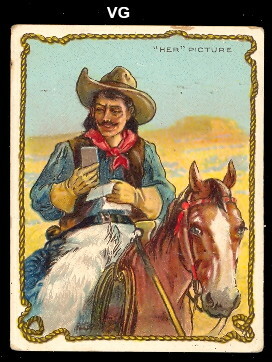 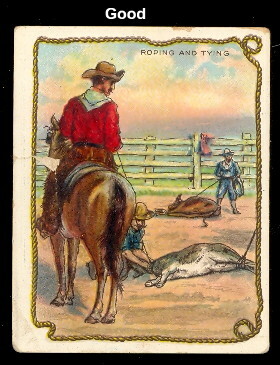 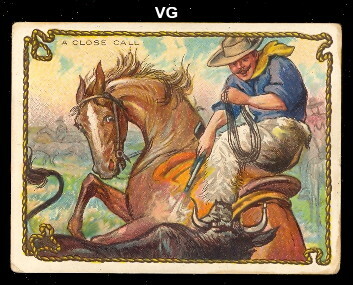 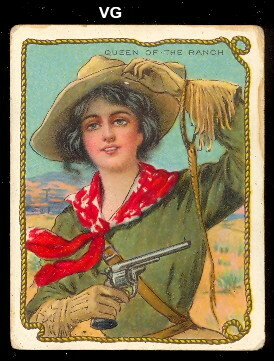 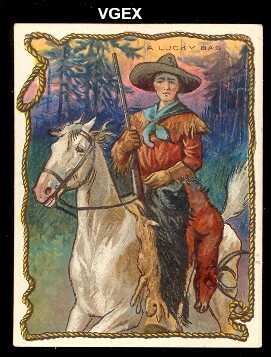 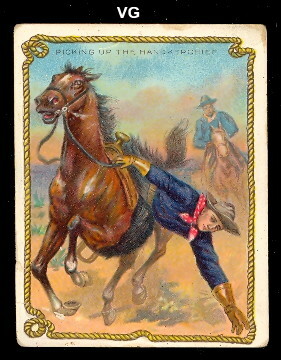 Originally planned as a 50 card set there is one car, "His favorite brand" which shows a cowboy holding a pack of Hassan brand cigarettes, and then "an exciting game" was was issued in a 40 card trade set, but showed a cowboy using a gun after a card game and was determined to be unsuitable so it was not included in the set. 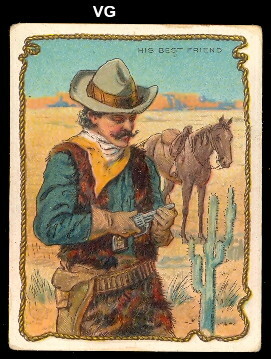 It would have been the 50th card.